Theresa May has received deserved mockery for the robotic repetition of her main slogan – “strong and stable leadership.” But, in her speech in Downing Street yesterday, in which she accused the European Union of interfering in our general election, she looked both weak and erratic. The harsh consequences of her extraordinary outburst will fall on working people who need a good deal between Britain and the European Union that will protect jobs and growth. The prime minister declared at her Lancaster House speech in January that Britain will leave the single market and the customs union. This was a mistake. Membership of both is the best economic option for our country, allowing totally free trade with our largest customer, the destination of 45 per cent of all our exports, and enshrining vital rights at work in UK law. And this would not be incompatible with Brexit – Norway is out of the union but in the single market, Turkey is nowhere near joining the EU but is part of the customs union. Having made this wrongheaded decision, both Theresa May and David Davis promised to instead secure a free trade deal that gives us the “exact same benefits” as membership of the single market and customs union. Achieving this – which both EU politicians and most economic experts believe to be impossible – would require highly skilled and patient diplomacy. The EU remains, and must continue to be, a vitally close ally of this country. They are our biggest trading partner, a million of our citizens live in their countries, and we have a deep partnership on security. Declaring that they are interfering in our election is both wrong and a needless fight to pick. If the prime minister believes this, she is paranoid. If she does not, but is merely saying it for political purposes, she is deeply cynical. By burning her bridges with our European allies, she is putting the Tory interest before the national interest; crude electioneering ahead of effective diplomacy. Nobody should believe that such incredible overheated rhetoric will be forgotten when she next sits down to negotiate with Jean-Claude Juncker or Angela Merkel. The prime minister yesterday made Britain’s negotiating hand worse not better, and increased the likelihood that we could crash out of the EU with no deal at all – a chaotic Brexit. This outcome would be a disaster for British working people. Every product exported from Britain to the EU would face a tariff – as high as 10 per cent on cars and 40 per cent on lamb – which would make it more expensive and therefore less attractive. This would mean fewer exports and fewer jobs. The same process would work in reverse, with EU goods sold in Britain facing tariffs which would mean more expensive food on UK supermarket shelves. The damage to our economy would be severe. The pie in the sky promises of Leavers, like the £350m a week extra for our NHS, would be clearly undeliverable. Furthermore, the prime minister and the chancellor have threatened that, in the event of Brexit with no deal, we will adopt an “alternative economic model” – one of tax cuts for the rich and spending cuts on the public services on which working people rely, as well as a bonfire of workers’, consumer and environmental protections. Theresa May’s speech today was straight out of the Donald Trump playbook; not what we expect from a British prime minister. In this general election, it is critical that she is not given a blank cheque for a chaotic, destructive form of Brexit. Every extra Labour MP elected is a bulwark against this; every extra Conservative will enable further foolish and ineffective diplomacy that puts our prosperity at risk. 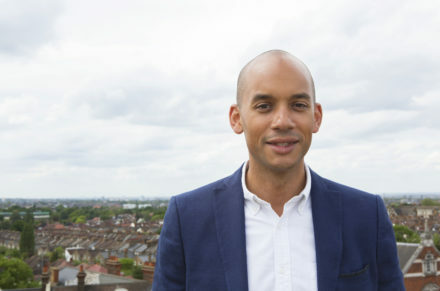 Chuka Umunna is Labour’s candidate for Streatham and a leading supporter of Open Britain.